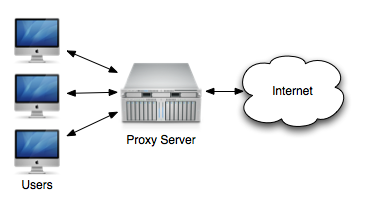 This blog demonstrates how you can configure your site server to also act as a proxy. I used this method myself a few years back before I began using TOR and other means of maintaining anonymity. Before we begin I just want to say that this proxy is NOT perfect since you’ll still be prone to DNS leaks. So if you want pure anonymity then I suggest sticking to TOR and/or use a VPN. This method is great for those who want to bypass network filters, or avoid those freebie malware-ridden web proxies or you don’t want certain sites tracking your IP. 1. Click on ‘Options’, go to the (I.) ‘Advanced‘ section, then click on the (II.) ‘Network‘ tab, and finally click on the (III.) ‘Settings‘ button as pictured.